Home Investment Mutual Funds When is the right time to sell your mutual funds? Investors often feel overwhelmed when asked about their mutual fund exit strategy. In fact, most investors don’t even know when to exit from their mutual fund investment. Is now the right time? Do I have to bear losses due to a market meltdown? Have I made enough money? 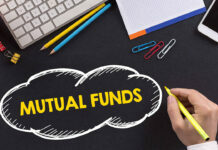 These are the common questions that plague a mutual fund investor in India. Although the decision to buy or sell an investment is totally the call of an investor, making decisions solely based on profit and loss can backfire. Instead, the rule of the thumb should be that unless there is an emergency or the fund is not performing as per the expectations, the investor should stay invested for a longer term. Mr. Singh invested in a mutual fund to take care of his child’s higher education. He invested for 15 years and had nearly achieved his investment goal, but he waited for the last moment to sell his holdings. Unfortunately, the market was facing a meltdown around that time and he only received a fraction of what he was expecting. Mr. Sinha, now devastated, had only regrets to keep him company while he ruefully thought of his child’s predicament. Experts suggest investors shift their investments to low-risk funds (like debt funds) when they are a year or two away from achieving their goals. This will ensure that sudden volatility of the stock market won’t upset an investor’s long-term mutual fund investments. Waiting for the eleventh hour to sell off your holdings could be really risky. The rationale behind investing is to make money, not to lose it. If your mutual fund scheme is consistently under-performing, it is time to put an end to it. However, before liquidating your investment, compare it with its benchmark, top ranking funds in the category and the overall performance of the said category. This will help you understand whether it is actually your fund that is performing badly or the entire market is wading through a bad phase. Also, if the fund is under-performing for a couple of years, assess the reason behind it. Take expert advice if you wish to, and if not satisfied with the reasons, liquidate. Fundamental attributes can be explained as a fund’s basic nature, like structure, the ratio in which the corpus will be invested, expense ratio, investment pattern, the sectors or scrip of investment, etc. A change in fundamental attributes means that the document on the basis of which the investor bought the mutual fund has been modified. Usually, a merger of two mutual fund schemes or two AMCs leads to such changes. While investors are given a 30-day exit period, if the changes are not in line with the investment goals, choosing to do away with the fund is better. Investors might need to re-balance a mutual fund portfolio especially if they have an asset allocation plan. If the portfolio is skewed towards a particular asset, it might become stock heavy during a bull market. Hence, if it is found during a review that the portfolio is leaning too much on an asset, the investor should book profits and allocate the redeemed amount to other asset classes. Investing styles are usually broken down into three dimensions: active vs. passive management, growth vs. value investing, and large cap vs. small cap companies. However, the style of investing in mutual funds is usually the criteria that a fund manager follows in order to choose the assets. The style can be changed if the fund house wishes to offer better returns, or if the fund manager thinks of generating more profit by actively pursuing riskier stocks. Further, even the fund manager might have changed and developed a completely different strategy. If the investor feels that these changes clash with his/her risk profile, he/she can put his/her investments up on the market. It may happen that you need to book the profits owing to a financial emergency. You might not have a choice. Or, you are facing any of the above situations and need to sell off your investments in order to get back on the right track. A word of caution here, consider all other options before selling off your mutual fund holdings, such as soft loans and other income sources. Also, make sure that it is actually an emergency and not just an impulsive plan that needs quick funding. Previous articleHow to apply for Paytm debit card Online?